..Cohen sounds genuinely moved by the affectionate reception he receives from his audience, and he seems determined to give them a show to match their loyalty, and with his band (who he frequently lauds during the performance) he truly gives of himself; if this isn’t quite the strongest live performance Cohen has released for public consumption, it’s certainly the warmest and the most emotionally resonant. 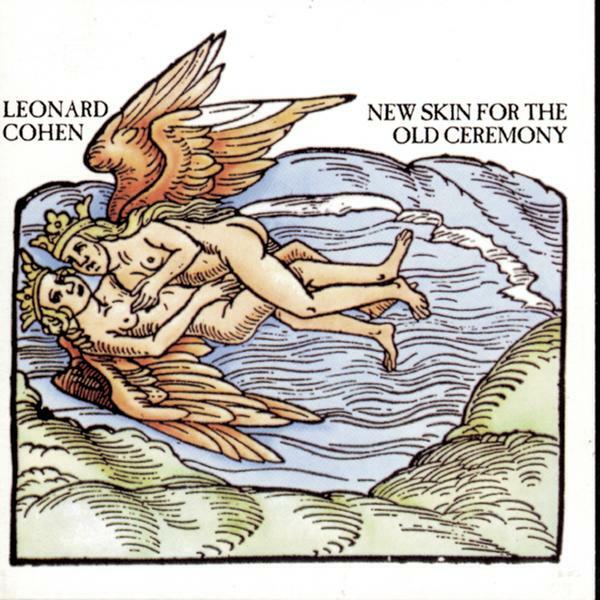 Perhaps fate forced Leonard Cohen’s hand to stage the tour documented in part on Live in London, but it seems that fate knows just what it’s doing, and this album eloquently demonstrates how much Cohen still has to offer, and how clearly his music still speaks to him (and us). 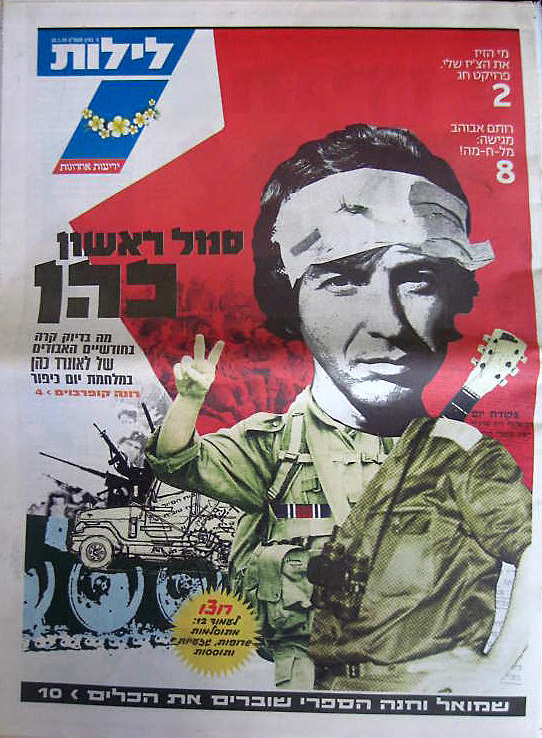 On March 18th 1972, Leonard Cohen began a 20-city European tour, beginning in Dublin and ending in Jerusalem on April 21st. Other cities included London at the Royal Albert Hall, Paris, Stockholm, Vienna, Amsterdam, Copenhagen, Berlin and Tel Aviv. This film is an impression of what happened during that tour. 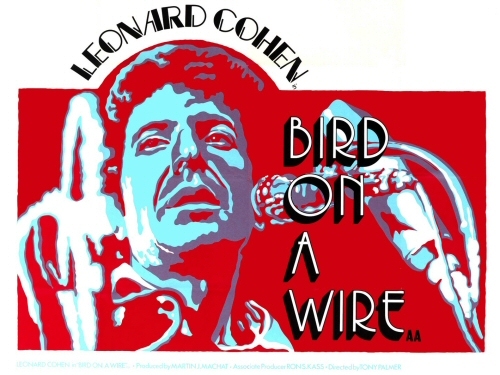 Bird on a Wire is a great documentary of Leonard Cohen in his prime. Tony Palmer was given complete and intimate access to Cohen, filming him on stage, backstage, on the bus and in hotel rooms. The band is incredible. There are songs where Jennifer Warnes and Donna Washburn stand behind Cohen and sing over his shoulder, sharing one microphone. 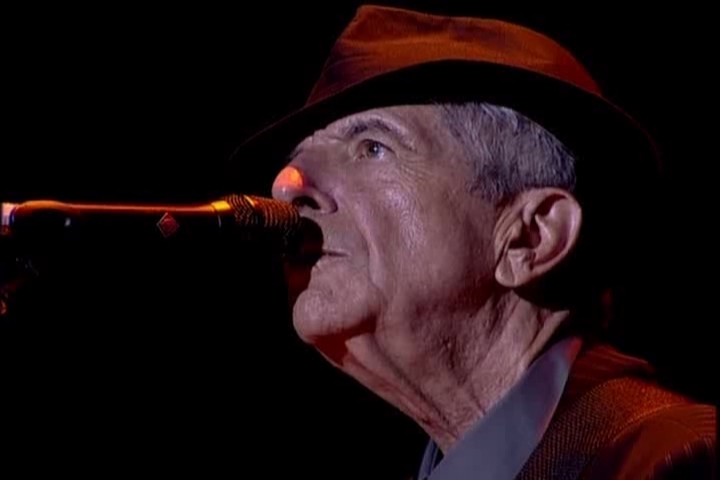 Most of the concert footage is very close on Cohen’s face, giving the movie a strangely intimate feel. The movie begins a couple of days before the Tel Aviv concert. This is not just a concert film. The live performances are interspersed with insightful interviews in which Cohen talks about a range of topics: “I don’t have a good voice, everybody knows that” and the difficulties of performing personal songs night after night on stage. Cohen has always been candid but it doesn’t get more personal than this. The world premiere of this feature film by Tony Palmer was at the Rainbow Theater on July 5, 1974, in London. The original version cost over 120.000 USD to produce, but Cohen was not satisfied. He spent six months in England editing and rearranging the film to show the deeper elements in music, the conditions that produced it, and his interaction with the audiences. It contains songs from albums as well as concerts, including those of Berlin, Vienna, Copenhagen, and Israel in March and April 1972. It is a documentary rather than an art film. The footage from the last show in Jerusalem is amazing. Halfway through the show, Cohen walks off stage, quoting Kabbalah and saying that he just wasn’t giving a good concert. A stoned(he seems so) Cohen jokes about being “bombed in Jerusalem” and after smoking some ( a lot of) cigarettes, he goes back on stage to deliver a legendary encore that included Famous Blue Raincoat. 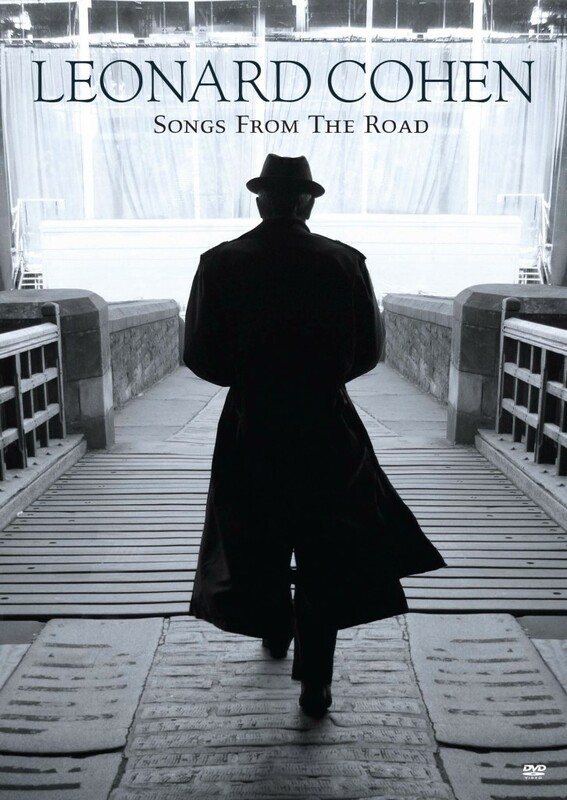 Songs from the Road is a live album/and concert clip collection by Leonard Cohen. Released on September 14, 2010, it is his twentieth album.This is a great release both on audio formats and video, great sound and nice filming. The audience is non-intrusive but warm. They are appreciating the music, but they are firmly in the background. 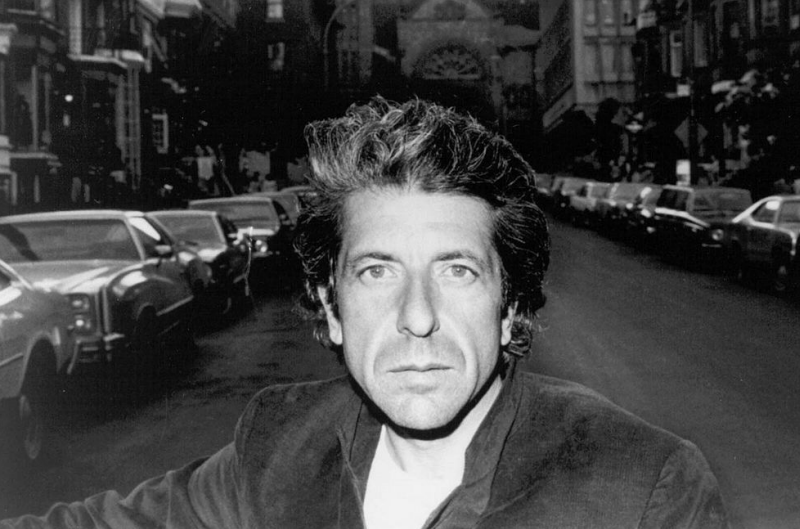 Leonard Cohen wraps his warm velvet voice around every syllable. His backing vocalists complement him with angelic beauty. The band is tight and precise. The songs are taped on different arenas but they flow effortlessly and it’s not a distraction at all. There are just small colour differences on the stage from one song to another, very subtle and classy. Highlight for me: Hallelujah at sunset at Coachella, pure magic!